I’m not trying to make you think otherwise: Ahmad Dhani is insufferable. He is unapologetically smug. His antics are mostly beyond absurd that his most devoted fans are often left wondering in disbelief whether he is the same person who wrote memorable songs such as “Cinta Kan Membawamu Kembali” or “Kuldesak”. The singer-songwriter knows how you feel about him and he just doesn’t care. You don’t have to like him, his music or his politics – but one thing is for sure, how you feel about a person should never be a reason for sending them to jail or, in Dhani’s case, for not speaking up against injustice. 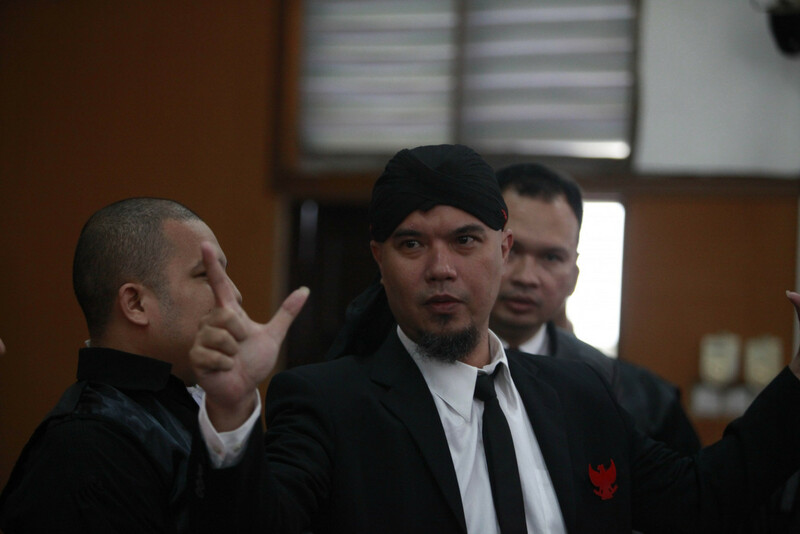 On Monday, the South Jakarta District Court sentenced the brain behind Dewa 19 to 18 months in prison for hate speech. His conviction added to a long list of Indonesians imprisoned simply for expressing their opinions online. Sure, you may think what befell the eccentric artist is a self-inflicted misfortune for which he alone is responsible. But the fact is he, too, is a victim of Indonesia’s flawed legal system that has already claimed many victims, including Basuki “BTP” Tjahaja Purnama, the extremely popular, almost messianic former Jakarta governor whose blasphemy case will perennially divide the nation. For BTP’s supporters, Dhani’s conviction is nothing but poetic justice, being handed only days after the release of BTP, the subject of Dhani's inflammatory tweets that got him into legal trouble in the first place. But his conviction and BTP’s are in fact equally contentious. Like BTP, Dhani is a “prisoner of conscience”, a victim of an illiberal criminal justice system that has seriously undermined the nation’s credentials as a democracy. Dhani, who is running for a legislative seat, had been charged with hate speech as stipulated under Article 45 of the 2008 Electronic Information and Transactions (ITE) Law and Article 55 of the Criminal Code after posting three tweets accusing BTP of “defaming religion” and questioning the sanity of those who voted for him. The tweets are offensive for those who believe BTP, once popularly known as Ahok, was innocent and would love to give him a second term as Jakarta governor. But that is by no means a speech that warrants prosecution. It is hard to say what Dhani did wrong here. None of the tweets mention BTP’s ethnicity or faith. And this shouldn’t be a surprise: Dhani grew up in a religiously diverse family and had Christian bandmates. Dewa’s last albums – Cintailah Cinta and Laskar Cinta – have been widely praised for promoting pluralism. Is accusing BTP of religious blasphemy a crime? If yes, then the police must also charge hundreds of thousands, if not millions of people, who took to the streets of Jakarta to do exactly that. Furthermore, they must also charge Indonesian Ulema Council (MUI) chairman Ma’ruf Amin, the running mate of President Joko “Jokowi” Widodo, and the North Jakarta District Court judges who declared BTP guilty of defaming Islam. In one of his interviews, Dhani, who was once charged with blasphemy for the album cover of Laskar Cinta, claimed that his accusation was based on an MUI fatwa. The MUI fatwa, he believed, would be instrumental in BTP’s conviction. If that’s not the case, then what is? Is questioning the sanity of Ahok’s supporters hate speech? The internet is no kindergarten; it is infested with anonymous trolls who regularly post far meaner comments about other people. Calling people insane is just bad manner. It does not qualify as a felony punishable by 18 months in prison. If anything, Dewa 19 videos on YouTube are in fact littered with disparaging comments like “this was Dhani when he was sane”, implying that he no longer is. Dhani is one of the last Indonesian rock stars. And by rock stars I meant a group of artists who got famous and insanely rich by selling analog records and performing in big venues. Unlike the politically woke younger rock stars (see Efek Rumah Kaca’s Cholil Mahmud), the pre-social media rock stars are typically smug and have the propensity for making controversial, if not offensive, remarks. In August last year, Dhani called members of GP Ansor, Nahdlatul Ulama’s youth wing, “idiots”. For that, he was, again, charged with hate speech. To be clear, I do not know Dhani personally – but arrogance is perhaps the impression that he was trying to create and we eventually got. He’s not alone, though. American and British rock stars like Billy Corgan of the Smashing Pumpkins and Morrisey of the Smiths are no saints either. Like Dhani, they are not without controversies. Corgan was criticized for defending Donald Trump, mocking Bernie Sanders, comparing “social justice warriors” to the KKK and blasting the media as “fake news”. 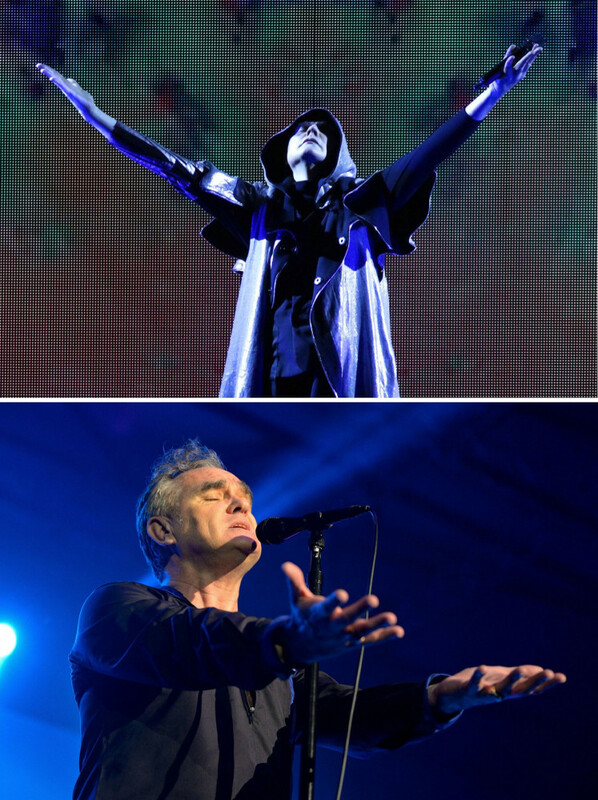 Morrisey praised Brexit, the UK’s decision to leave the EU, calling it “magnificent”. He also mocked London Mayor Sadiq Khan, saying that he “cannot talk properly”. But unlike Dhani, Corgan and Morrisey did not go to jail for being old-fashioned rock stars with haughtiness and controversies. Many of their fans have simply decided to separate the artists from their art and move on. I’m not saying that what Dhani did was justifiable. I voted for BTP during the 2017 Jakarta election. And I believed that BTP’s conviction, like that of Dhani’s, was politically motivated and only made possible by a flawed criminal justice system. The Blasphemy Law and the ITE Law are threats to freedom. Such legislation should be opposed by everyone, regardless of their political choices in the upcoming presidential election. We cannot afford to normalize these draconian laws just because we want the other side to “taste their own medicine”. The price we have to pay for that sweet moment of schadenfreude is too high: the loss of our hard-won freedom. Remember what happened to innocent women Prita Mulyasari, Florence Sihombing and Baiq Nuril? If you believe they are victims of unjust legislation, it is then only rational for you to stand behind that one rock star you cannot stand anymore.